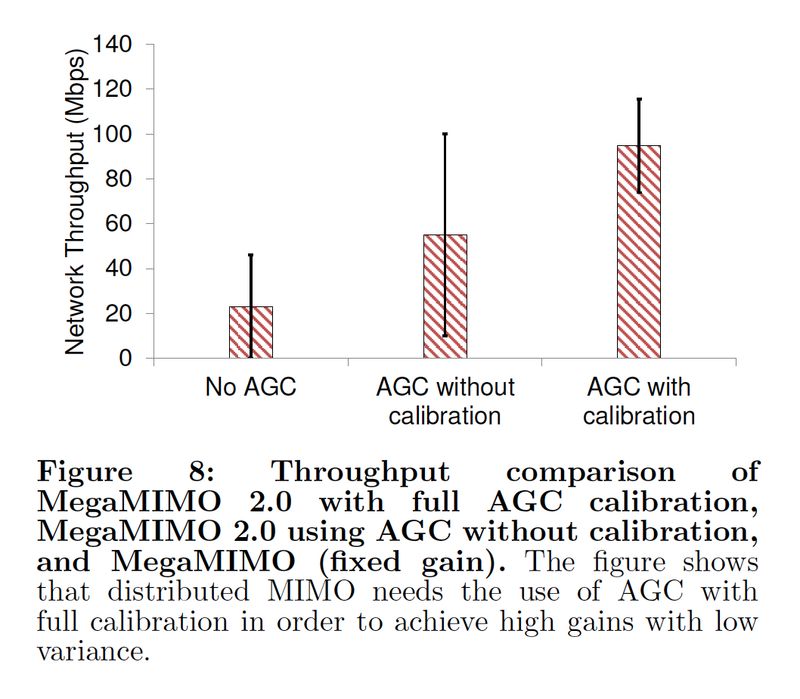 MIMO greatly improves the WiFi performance in venues with a high concentration of clients (such as SIGCOMM). 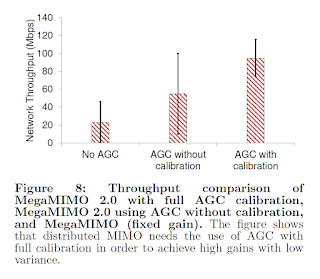 This paper’s most exciting contribution is demonstrating the feasibility of a full real-time, distributed MIMO wireless networking system (802.11). Such a system must meet some critical constraints: a full implementation of the 802.11 physical layer; meeting the timing constraints of 802.11; and supporting mobile clients in dynamic environments. 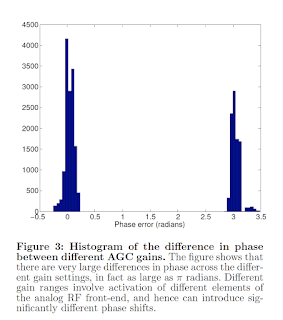 The system described in the paper introduces a new method to estimate the channel parameters (which are critical to implementing real-time MIMO), by using a mathematical model that improves state-of-the-art channel reciprocity estimation. Further, the authors’ system introduced explicit feedback from the automatic gain control (AGC)’s behavior into MIMO signaling and channel estimation. Finally, MegaMIMO allows for timing coordination between multiple devices. Q: regarding the initial calculation. Does the estimate assume homogeneity across two consecutive packets? A: we solve that by using time-separation between master- and slave-sent packets. Q: what do you do when there are no packets sent on the uplink? A: there are generally packets being sent, for instance ACK packets for TCP. Q: evaluation had a fixed number of users, how does it scale? A: we know it scales well up to 10 from previous work, in this paper we saw linear scaling to 4. Q: what about calibration across different hardware versions? A: calibration is done locally, no need to calibrate across devices. Q: does it require changes to the client’s hardware/software? A: no, changes required at the AP, not the client.